Move In Ready. Actual photos. Huntley. 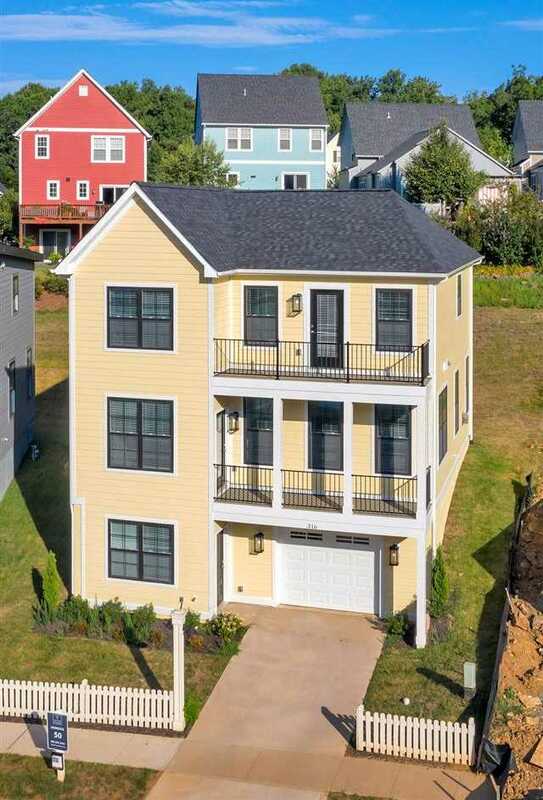 An established community in the City featuring walkability, easy access to all things Cville, UVA and I-64. The Meridian featuring 2 story living on a basement and open floor plan on the main level. Three bedrooms and two baths upstairs. This price includes this stylish traditional exterior, hardwood flooring, granite counters, stainless appliances, and ceramic tile in both baths. Ask about our Eco-Smart approach to energy efficiency and comfort via insulation and equipment verified w/ third party actual HERS Score 62. .Additional floor plans and lots, available. Virtual tour is of the furnished model home and displays The Meridian floor plan furnished. Directions: From downtown east on 250 by pass to Fontaine Exit, left on Fontaine, right on Jefferson Park Ave, right on Stribling to left on Huntley Ave. Builder is selling out of Design Center located at 435 Cherry Ave. Please, send me more information on this property: MLS# 585092 – $459,900 – 316 Huntley Ave, Charlottesville, VA 22902.